The National Park Service (NPS) banned drone use in national parks in 2014. Most parks continue to follow this policy. The few parks that allow model aircraft use on designated fields will still be allowed to do so. Check your park's website for current information before you pack your drone. Leave your collecting bag at home. You may not take rocks, fossils, plant specimens or anything else out of the park except the items you brought in and souvenirs you purchase during your visit. If you find antlers in the woods, leave them there. Some parks make exceptions for traditional visitor pastimes such as seashell collecting and berry picking. As a park ranger before you start picking up shells or pulling berries from their stems. You can pan for gold in a few parks, including part of the Whiskeytown National Recreation Area in California and Wrangell-St. Elias National Park and Preserve in Alaska. If you aren't traveling to Alaska or Whiskeytown, leave your gold pans in your garage; prospecting is not permitted in other US national parks. Individual parks may allow you to collect nuts, fruit and berries for your own consumption or to gather deadwood for a small fire, but you should ask a ranger about park policies before you head into the woods. In general, park visitors cannot gather wood or edibles in national parks. Feeding wild animals encourages them to seek out more "people food." Please do not feed any wild animals, especially bears. Use park-provided bear boxes to store your food. Never leave food in your car or tent. Shouldn't park visitors know enough to stay off of monuments, fragile rock formations or other structures? Apparently not. In 2013, a woman vandalized the Lincoln Memorial in Washington, DC. The same year, park rangers found graffiti carved into saguaro cactus plants in Arizona. It is illegal to deface, vandalize, alter, carve, climb on or walk on any natural object, monument or structure in a national park. You may not throw or roll rocks in a national park. You could start a landslide, damage a rock formation or, even worse, block, and therefore ruin, a hot spring. You may not use metal detectors or similar object-finding instruments in national parks. It is against federal law to dig for artifacts and relics on federal property, too. There are many caves on federal lands, and you can visit many of them whenever you like. Crystal Cave, located in Sequoia National Park, and Mammoth Cave are two of the best-known caves in the park system. If you stumble upon a cave that is not monitored by park rangers, you should not go inside until you have secured permission from park management. This policy protects you, the cave itself and the wildlife, particularly bats, within the cave. Helium balloons harm wildlife. For this reason, the NPS prohibits outdoor release of helium-filled balloons. Before you build a fire in a national park, ask a park ranger about fire rings and / or backcountry fire permits, and follow the ranger's instructions. Don't be the person who accidentally starts a wildfire. While some states have decriminalized marijuana use, national parks are federal property, and it is still illegal to smoke marijuana on federal lands. If the federal government shuts down due to lack of budget funding, national park visitors will have up to 48 hours to leave. Expect national parks, monuments, historic sites and preserves to close immediately once a shutdown begins. Source: US Department of the Interior. National Park Service. Management Policies 2006. Accessed June 10, 2017. 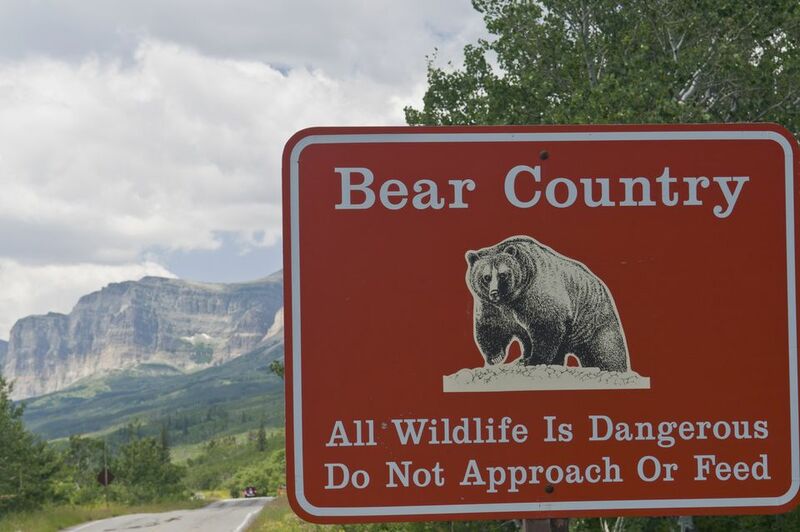 Here's what you should do when you encounter a bear in the wilderness.